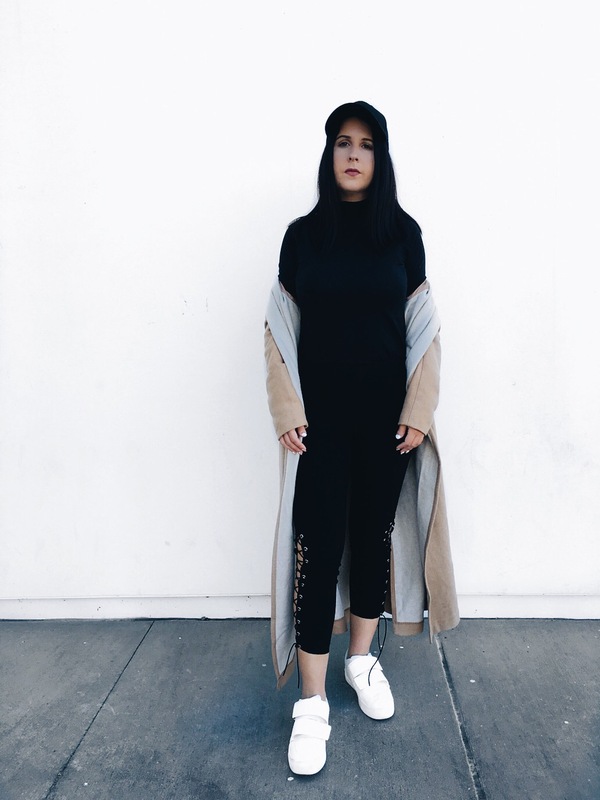 The cropped look is in right now. From tops to bottoms everything is being cropped. I think the crop pants are genius especially for the fall season because it gives you the chance to show off your ankle booties. This season there are some definite killer boots to show off. I’m loving the velvet trend. 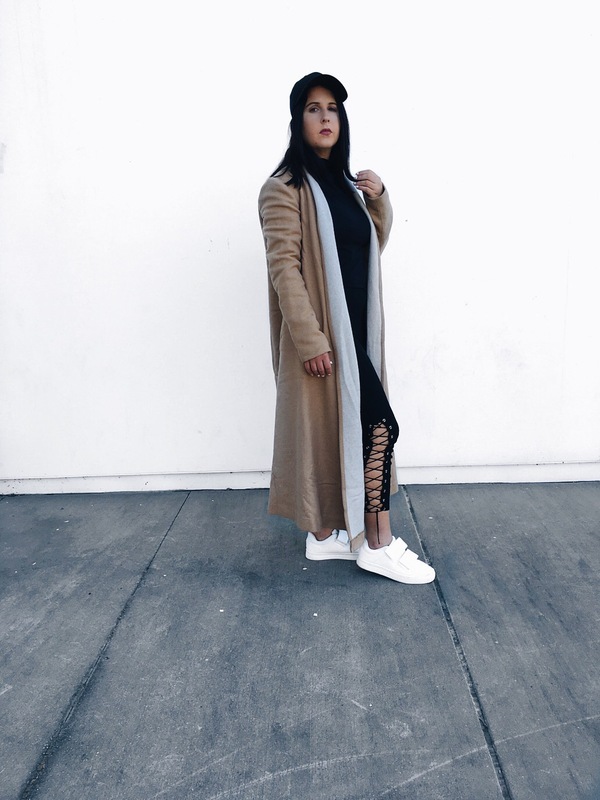 This my sporty fall look so I paired these lace up leggings with white sneakers and a black turtle neck. 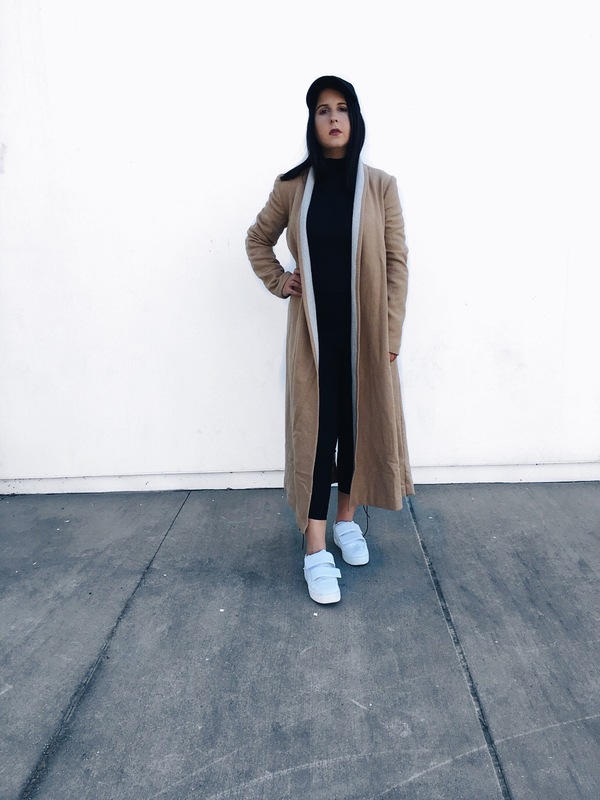 To add a more fall aesthetic, I paired the outfit with this amazing two tone camel coat. These lace up leggings are a great way to enhance your fall wardrobe from the regular everyday black legging. I like the look of not tying off the ends and letting the extra string hang. Not only is the lace up trend on leggings it’s also being incorporated with jeans. I posted some of my favorites! Check them out. Cool ootd 🙂 I’m loving you cropped pants 🙂 I want to get some similar ones. Maybe some with mesh? Very cool look! Love the detailing on your leggings! Love the all black outfit with the white sneakers! Love the hat with the dropped pants!